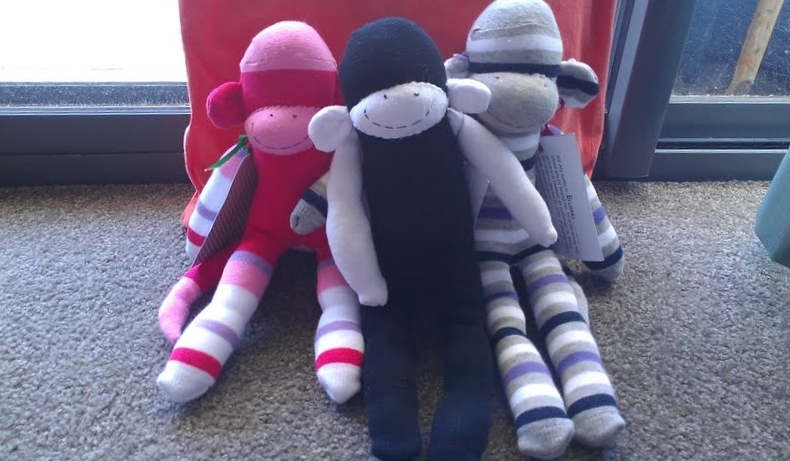 The monkeys were all made by a small group of Junior Youth and some friends who wanted to do something as part of the service component of the Spiritual Empowerment Program which they are part of. This is a Bahá’í inspired social and economic development program open to all young people between the ages of 11 and 15, and which builds capacity for service to humanity, releasing the idealism of youth for a purposeful and constructive life. Through their individual development young people then contribute to social transformation in their communities. Some of the girls in this particular group had never even threaded a needle before, but this didn’t deter them from learning how to sew for the first time because they were inspired to use this skill to raise money for the orphanage they had learned about. 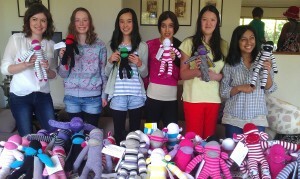 The two animators of the Group encouraged and assisted them in their efforts, but the decision about taking up this service project was one the girls made themselves. This is because the role of an animator is not so much one of a teacher or even a leader, but a facilitator of the participants’ learning through action. When asked why they chose this particular service project, Amelia Ishikawa, one of the animators, explained that a friend who had spent a year as a volunteer at the orphanage had spoken about her experiences there and her story had touched their hearts. In a matter of weeks, 50 monkeys were cut up, stuffed and sewn, and each was sold for $15. The money raised will be used to buy needed items (medicines, toiletries, clothes, etc) for the children at the Cotlands orphanages in South Africa. 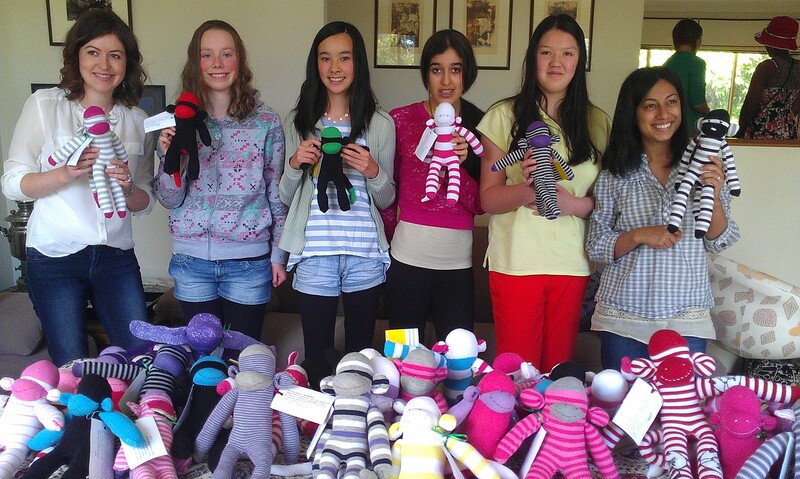 But, not content with just selling the monkeys, the girls also organised an afternoon tea, making their own cakes and cookies for the guests in exchange for a gold coin donation. In this way their initiative and resourcefulness has raised over $800 to assist in the important work being carried out by the orphanages for the children in their care. 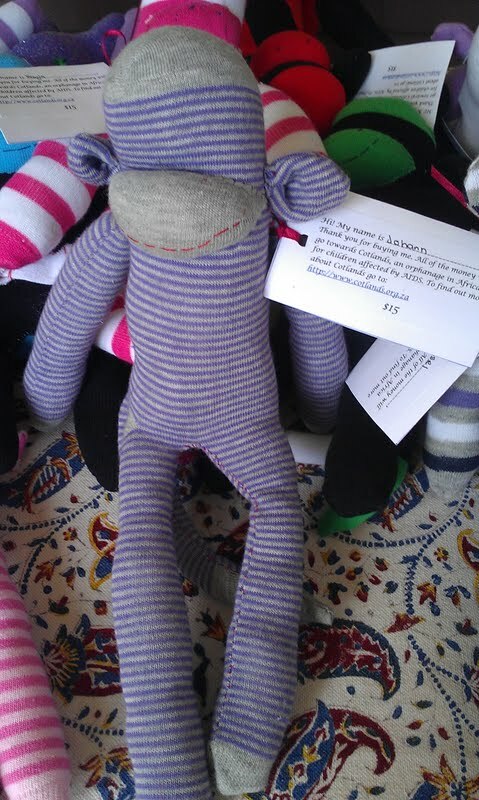 Each monkey purchased thus carries with it this story of compassion and hope for the future and shows that every act of service, no matter how small, can have powerful effects.